The smell of delicious warm bread fresh from the oven, the crackle of crust cooling on your kitchen table and the satisfaction of having made something with your own hands. These are some of my most satisfying rewards from baking my own artisan style sourdough. 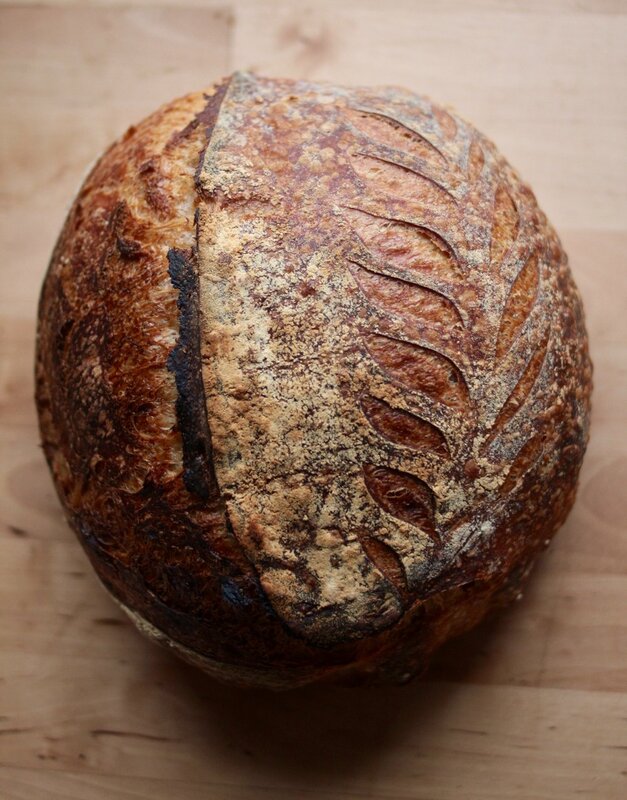 If you are interested in learning how to bake sourdough, then you will need to know a few key principals: how to maintain and feed a starter, how to handle and shape dough; and of course how to fit sourdough into a busy schedule. Olga Koutseridi, a passionate home baker, has designed a 4-hour intensive hands-on workshop to prepare you with the essential skills and tools required to become a proficient sourdough bread maker. Students will learn how to mix, shape and proof their own loafs as well as practice different kneading and scoring techniques. Everyone will go home with a jar of sourdough culture, a banneton of dough to bake the next day, and three essential recipes for sourdough breads. After this workshop, you will be able to enjoy sourdough bread making in the comfort of your own kitchen. Our 4 hour Sourdough Workshop will begin at 2:00 in the afternoon. Samples of sourdough breads and cheeses will be provided throughout class. This workshop is limited to 10 spots in order to guarantee one on one attention and a high quality experience for each student. We are offering two opportunities to take this workshop. The cost for the workshop is $120/person.